Everyone knows how competitive today’s job market is, what is not so well known is that only 30 percent of open positions are ever advertised. Therefore, if you’re relying on job boards, and online recruiting sites like Indeed.com, for your next job, you may be in for a long wait. Linked provides a professional platform and exposes you to the 95 percent of recruiters that use the site to search for and vet potential candidates. Using social media has helped to connect more people than any other entity. Using Linkedin to find your dream job is logical, knowing how to get noticed is the difference maker. 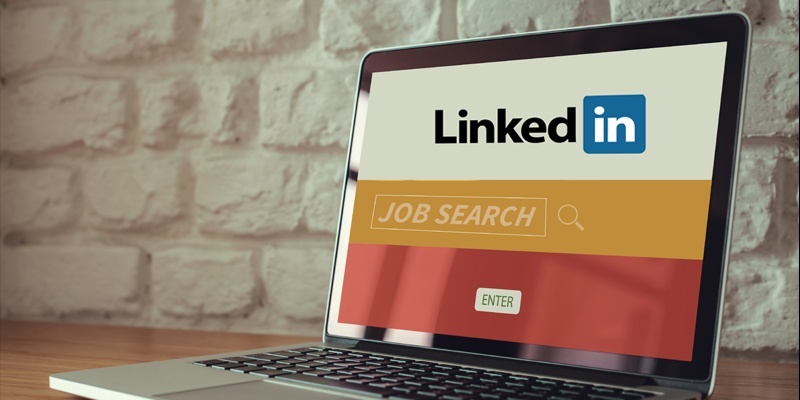 An effective job search strategy includes Linkedin. Period. Why, do you ask? Because over 90 percent of recruiters source and vet candidates via Linkedin. In addition to the fact that 3 million positions are consistently listed on LinkedIn -- the number one social media platform for professionals. This user-friendly platform adds value to job seekers in three ways. You have access to multiple ways to locate job opportunities, then you can scan your connections to find out works at those companies. You can be easily found by recruiters and HR personnel searching for people with your skills, achievements and background. You have access to ‘the mother lode of business intelligence! You can target and research companies where you’d like to work, and get insight into company culture and background info of the person who may conduct your interview. We’ll uncover several ways to help you shine on Linkedin, however, this suggestion may create your biggest aha moment of the day. Avoid using worn out verbiage to describe your achievements and background. Such as, strategic, creative, and motivated which are listed among the top ten buzzwords recruiters hate. Complete your profile: You could miss out on important opportunities with an incomplete profile. A strong introduction with the correct keywords shows your ability to communicate. Unlike a paper resume, that we like to keep around one or two pages, your Linkedin profile should include everything about anything you have ever done on a professional level. List your relevant education, certification programs and internships. All these steps will improve your chances to show up in recruiters’ search results. There is no way to know what criteria is used in their search. Use a professional photo: Your Linkedin picture should reflect how you’d look if you were going to an interview or meeting with a prospective client. Despite our best efforts, we all judge people by their appearance. The only alternative is to not include a picture, however, that gives employers the idea you’re hiding something and they’ll pass you over. Post updates regularly: Posting regular updates allow you to remain active and increase your familiarity with the site and available resources. Your name will remain in front of your contacts. While you’re on the site continue to build your network. Many times finding an opportunity has to do with being in the right place at the right time. Write a quick summary: A short and sweet summary should highlight who you are and what you’re looking for within two to three lines. Unless this is your first job, selling education is not relevant; hiring managers want to know about your experience. You also want to use information that differentiates you from others. Such as, ‘in top 2% and class salutatorian.’ I’d suggest to focus on 3 key achievements and use bullet points. List every job you’ve ever had: Since you can search for former colleagues through employer names, you may miss out on the chance to reconnect with former co-workers by not listing every employer. Such connections just may be your ticket to your next position. You should also take the time to detail every position. Recruiters want to know what you’ve done to get a better idea of your value. Complete all sections, including your specialities’: This is where you can highlight your areas of expertise, skills and specialized knowledge. Include as many keywords as possible and perhaps think like a recruiter, to understand what about your background others would want to know the most. We suggest scouring job postings and match your keywords with those listed. Use a descriptive title: Editing the line that appears right under your name is your optimal chance to appear in search results. Speaking of sounding like a broken record, avoid using “seeking next opportunity,” after all how many of those would you read before you became desensitized? A descriptive title vs. one that is functional, summarizes your profile and helps you best as long as it captures your best skill. The goal is not only to get noticed but to differentiate yourself from the other millions of Linkedin users. Your profile should detail your achievements and experience, then move on to what you can now offer. Hiring managers and recruiters have a large pool of talent to pull from. Take steps to improve your Linkedin profile and increase your chances of being found sooner rather than later.